Whether you’re a new driver or a veteran, the roads we drive on can hold a range of different secrets that even the most experienced of us fail to spot. Driving in rain and sleet can sometimes be a very daunting experience, and we each handle it in many different ways, some of us embrace the challenge, whereas others clam up and find themselves driving to the office at a snails pace in fear. But there are a few things you can do in order to ensure that you are driving safely and sensible, without causing traffic or accidents! The main way to drive safely in the winter months is to understand the different road conditions and the impact they each have on your car and driving. Whether it’s raining, hailing or heavily snowing, the conditions on the road will be greatly affected as opposed to dry weather. Traction for braking and accelerating is severely reduced, sometimes up to 1/8th of their usual capacity, often making breaking time longer when it comes to stopping. Visibility can often be a key factor, as snow and heavy rain can decrease what you can see. One aspect that few people realize is that heavy rains can cause windows to fog up fast, so the best way to conquer this is to de-fog as soon as u get in the car, leave the heat on but on a low fan setting, and open your window ever so slightly to keep fresh air flowing, this help keep your windows from fogging when your driving in particularly rainy, or even snowy weather. Always keep an eye on your windows, if they begin to fog then de-fog immediately to ensure optimum visibility when driving in these conditions. Another is speed; it may sound obvious but slow down when you’re driving in bad weather. Because roads that are wet and snowy require good vehicle control, reducing your speed where you feel comfortable can give you the best control over your vehicle; you don’t have to dip drastically under the suggested speed limit, just drop just below and you’ll find that should suffice. You won’t be the only one either, the limits you will find on the roads are based on ideal weather, so dropped just below will mean it should suit the road perfectly. This is also a warning for those of you who drive at high speeds regardless of the weather. It is ill-advised that you tail-gate in bad weather, especially if a driver is doing just under the speed limit, doing this is not only intimidating, but it’s also very dangerous in wet and sludgy weather. If the driver in front were to slow down or stop suddenly, there is no guarantee you will be able to stop in time on roads that have reduced traction, so always drop back, be patient and be safe. When driving, accelerate gradually, brake gradually, and turn slowly and carefully. Sudden actions on wet or slush filled roads can cause a sudden loss of traction that can cause you to loose complete control of your vehicle and cause an accident. Sharp bends demand caution on dry roads, they demand even more caution in bad conditions, so always be gentle and careful when driving. A great tip is to try and keep your foot off the accelerator where possible when driving on overpasses or under bridges. These types of roads can often hide shady spots of ice or sleet, which can cause you to spin out if you accelerate over it too quickly without thinking. Try to avoid using cruise control in bad weather, especially snowy, icy or rainy conditions, in order to ensure your safety, you need to resist the temptation and manually control your car, in order to ensure that you always have control over your vehicle and the acceleration. Also, do your best to look out for other drivers by clearing all the snow off your car, when you’re driving along, snow could be blown off your car and straight smack into the car behind you, this has often caused people to loose visibility, and the shock of the sound can often cause people to loose control in fear. Similarly, if you come across someone in front of you with snow on their car, try and stay back, you wouldn’t believe how fast snow hurtles towards you, it can be a lot scarier than you think, as silly as it sounds, so always look out for your fellow drivers, and yourself. Always be careful when driving in the rain and sleet, never forget your headlights, and always remember to brake earlier to give yourself time to come to a stop. 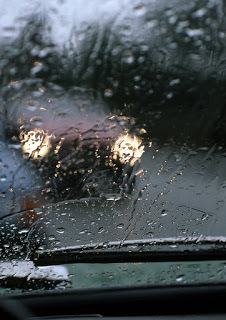 By following these tips, you’ll be driving in bad weather safely and securely for years to come.